All work produced and directed by Amy Coop for Angelic Films. New Angelic office opens in Essex! We’ve opened a new office in the pretty market town of Great Dunmow in Essex. In addition to our Pinewood Studios base, our new office is well situated to serve clients across NE London and the East of England. Close to the M11 and Stansted Airport, it has great transport links throughout East Anglia enabling us to work more closely with clients in Essex, Cambridgeshire, Herfordshire, Suffolk and Norfolk as well as our existing client base in London and Buckinghamshire. 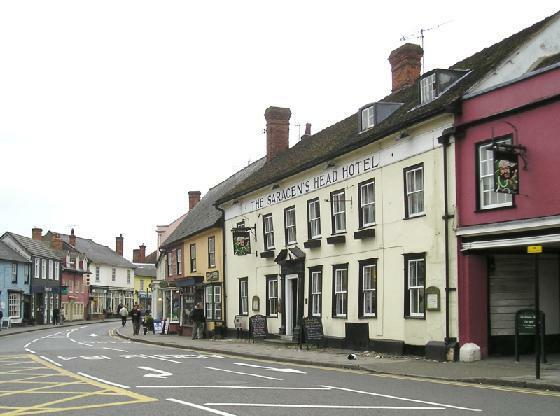 Great Dunmow is a historic market town dating back to Roman times, and which flourished through the middle ages. Filled with great local shops, boutiques and businesses it has a great many historic listed buildings including our very own Grade 2* office in The Chestnuts! One of a series of short teaser virals we made for the launch of a new Toshiba ‘air cooled’ laptop. A launch film we made for the Pedigree ‘Play Again’ campaign. Shot in Gunnersbury park with a giant sofa and some ‘real’ dogs (as opposed to trained film dogs!). We also created a series of short documentaries following the campaign events as they stopped off at venues around the country.